"Governments cannot yield to terrorism." 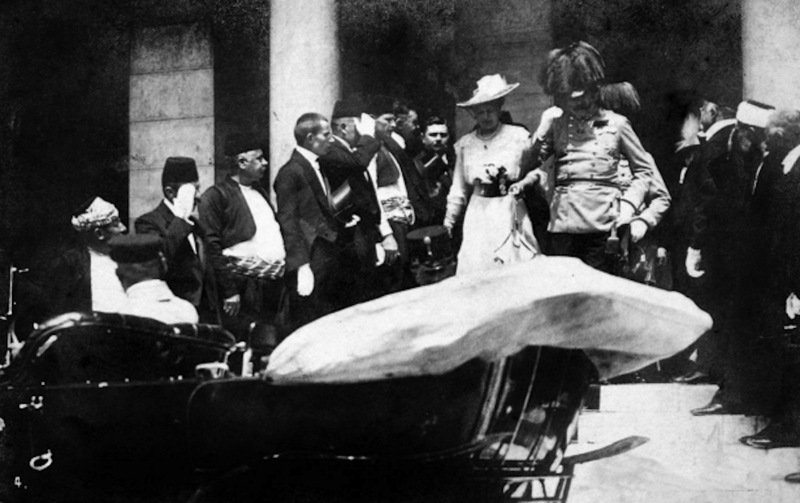 Franz Ferdinand’s assassination triggered a series of diplomatic maneuvers and counter-maneuvers that erupted in the beginning of the First World War just over a month later. But the world-historical significance of the event was not at all evident just after it happened. In The Nation’s “This Week” news-blurb section, the assassination was not mentioned until the 15th item. Remarkably, the following editorial, “The Austrian Tragedy,” (July 2, 1914), demonstrates that the magazine’s editors believed the consequences to Emperor Franz Joseph’s health of more immediate concern than the possibility of war. There are undoubtedly serious political implications in the assassination of Francis Ferdinand, which occurred on Sunday in the capital of Bosnia, but it is the personal aspect of the tragedy which first makes appeal. This new blow to the aged Emperor, whose life was thought a few weeks ago to be nearing its end, evokes world-wide expressions of sympathy for a ruler whose long reign has brought him almost unprecedented personal bereavements…The old Emperor will doubtless make an effort to keep the reins in his hands as long and as firmly as possible, but it is evident that Austria will have to face trials of a sort to test her strength and her international policy…. Such efforts to temper tyranny by assassination—we now speak, of course, from the point of view of the perpetrators of the crime—are almost always futile. This lies in the nature of the case. Governments cannot yield to terrorism.